The Ihedioha Campaign Organization condemns in the strongest terms, the violence that trailed the APC Senatorial Rally of Governor Rochas Okorocha at Ejemekwuru in Oguta Local Government which led to the gruesome killing of two indigenes of Agwa in Oguta Local Government Area. 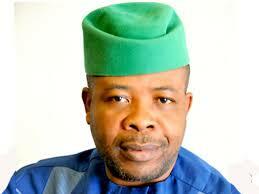 The killing of two young Imo sons is totally unacceptable and a worrisome development. Reports have it that soldiers attached to the out-going Governor of Imo State, His Excellency, Governor Rochas Okorocha opened fire on unarmed citizens leading to avoidable loss of lives. The callous killings according to report, was carried out by soldiers accompanying the governor, who were alleged to be acting on his instruction. This killing of unarmed youths in Oguta is another killing too many by the Rochas Okorocha administration. We recall that the Rochas Okorocha administration has been notorious for engaging youths of the Niger Delta areas of the state in acts of thuggery and violence, rather than creating meaningful employment to engage them. The people of Imo State will no longer tolerate violence from the APC. The killing in Oguta is just a prelude to the large scale violence the APC and their associates in AA and APGA are planning to unleash on the people of the state in their desperate bid to manipulate the 2019 elections. We therefore call on the security agencies, INEC and other relevant agencies to keep an eye on Imo State against the violence the APC are preparing to unleash on the good people of the state during the 2019 elections. The Rochas Okorocha government and their APC rivals have been heating up the polity unnecessarily and the Imo State Command of the Nigerian Police Force do not seem to call them to order. Just recently, the house of a House of Representative candidate from Oguta LGA was demolished and in retaliation. The youths of the community burnt a Police Van and took the Policemen and the Court officer who allegedly went for the demolition hostage after they were said to have been manhandled. We were surprised that the Imo Police Command swept the matter under the carpet as no arrest was made, nor were Imo people briefed on the actions taken on the matter. Today’s killings may not be unconnected to the consistent demands by youths of Oguta and Ohaji Egbema Local Government Areas for the Rochas Okorocha government to account for the 13% Derivation funds meant for the development of the area through the Imo State Oil Producing Areas Development Commission (ISOPADEC), which they accused the government of allegedly diverting for eight years. We hold Governor Rochas Okorocha squarely responsible for the killings, and we call on the security agencies to call the APC and its members in AA and APGA to order to forestall further breakdown of law and order in the already restive region. The governor must be held accountable for any further crisis that may arise from this senseless killings committed by agents of the state government whose duty it is to rather protect lives and properties. Finally, we call on the Imo State Commissioner of Police to arrest the killers of the two young men who were gunned down in their prime with immediate effect. The People’s Democratic Party, Imo State will resist any attempt to sweep this matter under the carpet like rye case of Somtochukwu who was murdered in cold blood by same Rochas’s soldiers during the demolition of Ekeonuwa Market in Douglas Road. This time we demand that the killer soldiers be identified, arrested, investigated and brought to book.